Basil smells like summer, and this sous vide pesto chicken salad does, too. We served our salad over a bed of greens, but it would also make a fantastic sandwich or wrap. 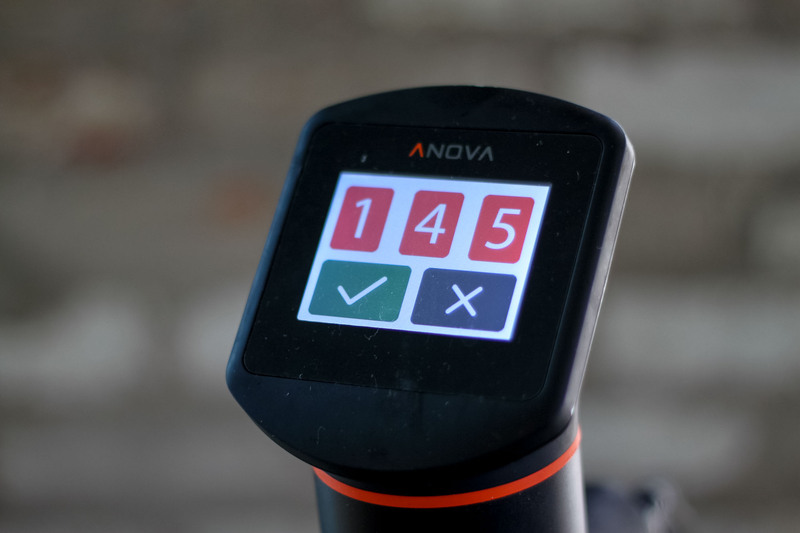 Set the Anova Sous Vide Precision Cooker to 145°F (62.8 °C). Season the chicken with salt and pepper and seal in a plastic zip or vacuum bag and cook for one hour. Remove the chicken, pat dry, and let cool for 10 minutes. Whisk together the mayo, pesto, and lemon juice and season with salt and pepper. Shred the chicken and toss with the dressing, radishes and peas.